It’s out with Christmas and in with Easter. Christmas has barely finished and already we are faced with an abundance of Easter goods in the Supermarket. 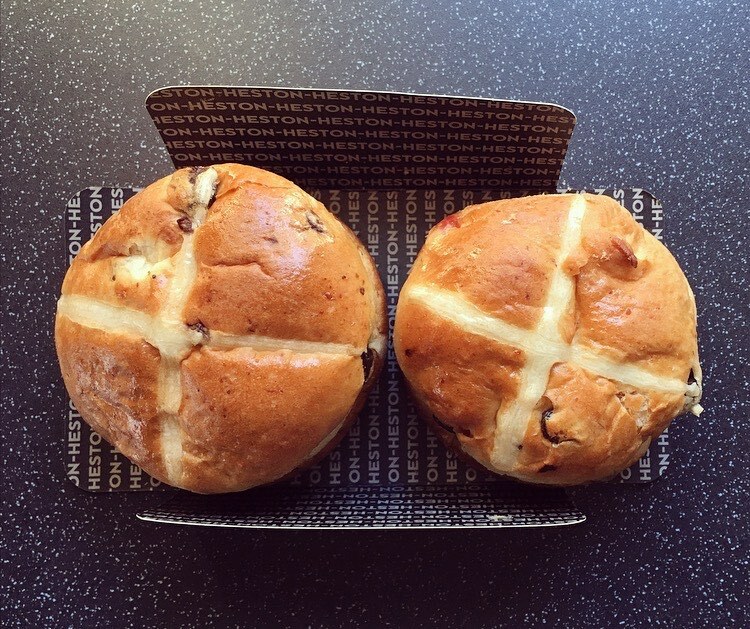 Now usually I wouldn’t partake in Easter goodies until nearer the time, however I spied these Heston Cherry Bakewell Hot Cross Buns in Waitrose yesterday and simply could not walk on by without buying them. You cannot have Easter and not have hot cross buns, it is literally the law in our house that there must always be hot cross buns on offer. We have had the Heston Early Grey and Mandarin Hot Cross Buns, and the Acacia and Honey Hot Cross Buns, but this year Heston has gone with a tad more traditional flavour of Cherry Bakewell. Could this be anymore of a genius idea? Currently they are on introductory offer of £1.40 (25% off) which I thought was pretty reasonable. Before we get to the tasting I would question the quality control. You can’t overly see a difference but I assure you the two hot cross buns were considerably different in size, and rather wonky, which I find slight odd given Heston’s products are usually extremely precise, right down to the flecks of gold dusting. Onto the tasting, which naturally I tried these both toasted and not toasted with a smidgen of butter. Slicing in half the sweet marzipan element that the cherry bakewell is renowned for was evident. Aside from the size difference the buns themselves were thick yet light as a feather. The raisins were juicy and plump, the almond slithers had a slight crunch that was enhanced when toasted, and the cherry pieces were fresh, sweet and full of flavour. There was not a great deal of fruit but what was there was the perfect balance of each and enough to get a bit of each with every bite. It’s a taste sensation and I am pleasantly surprised that they’ve managed to get an authentic and fresh taste of cherry bakewell within a hot cross bun. I think it’s pretty clear Heston’s Cherry Bakewell Hot Cross Buns are a thing of bread beauty. They do exactly what its set out to do; we have a hot cross bun with a difference, a delicious difference, and one I absolutely love and will definitely be buying again. 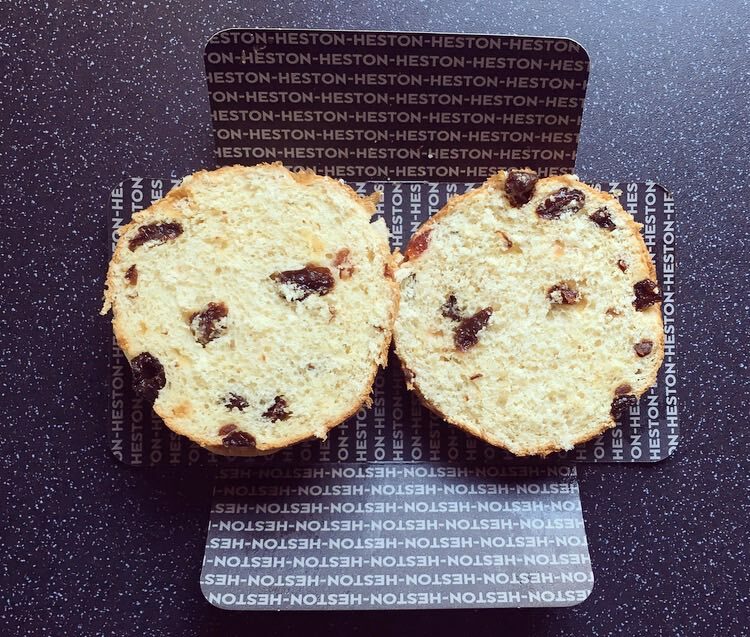 I know Heston also does a Cherry Bakewell vodka which I am desperate to try but cannot find, could you imagine pairing this with these hot cross buns, it would be a cherry bakewell taste sensation! So if you love cherry bakewell, or want a not so traditional hot cross bun, you have got to try these. We struggled with these- horrible synthetic almond flavour that stayed with us for several hours. No recognisable cherries but a hint of bottled Marascino cherries. Rather dry – but we did eat the first one as we left the shop so maybe better warm. Blind smelling by other family members elicited ‘yuk – something chemical?’. 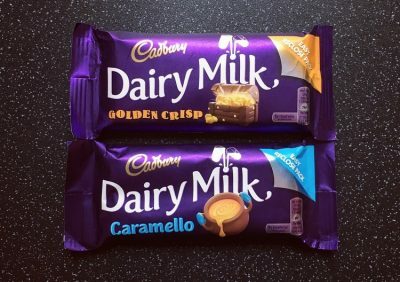 A big disappointment – the second was chucked. They are definitely better warmed. A shame you didn’t try the second one just to see if you preferred it toasted. 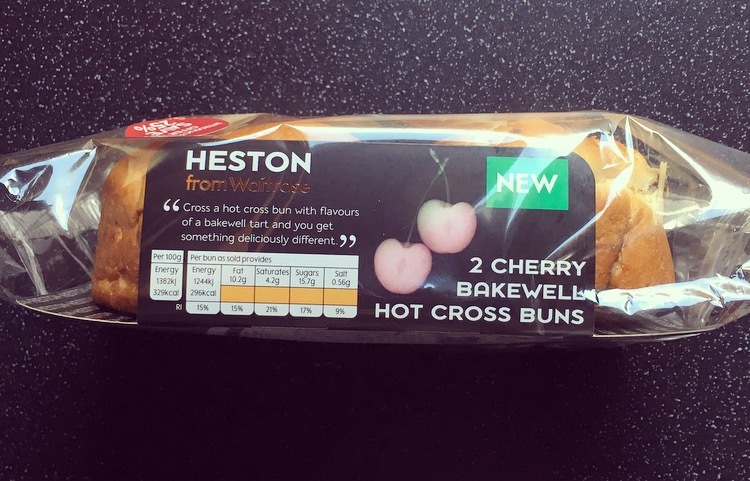 I’m sorry but I really do not agree about these Heston’s cherry bakewell hot cross buns. Having enjoyed many of Heston’s earlier combinations of flavours I couldn’t find anything resembling a cherry. 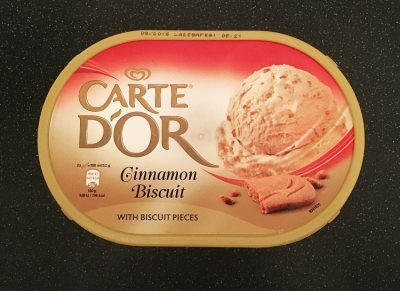 The almond, frangepan or marzipan flavour which I waiting looking for didn’t materialise. No nice warmth of spice which I normally associate with a traditional hot cross bun, no not even that. Shame yours were not to the same quality as the ones I bought. The lack of warm spice we all associate a traditional hot cross bun will not be there as this is a take on cherry bakewell using the style and not the typical ingredients of a hot cross bun.